The new set adds in Night and Day cards. Depending on which is dominant in the Center row, various cards will gain and lose abilities. 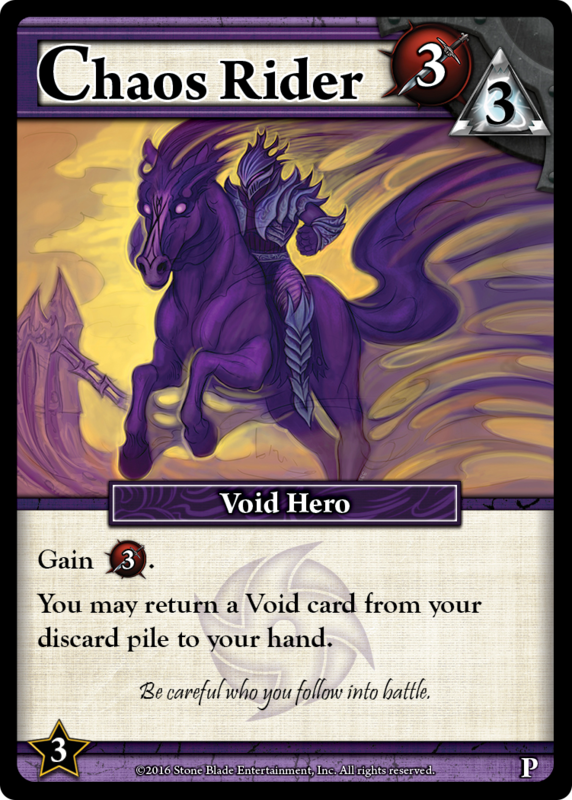 There's also dual-cost cards, where you will have to spend both Runes and Power in order to acquire them. 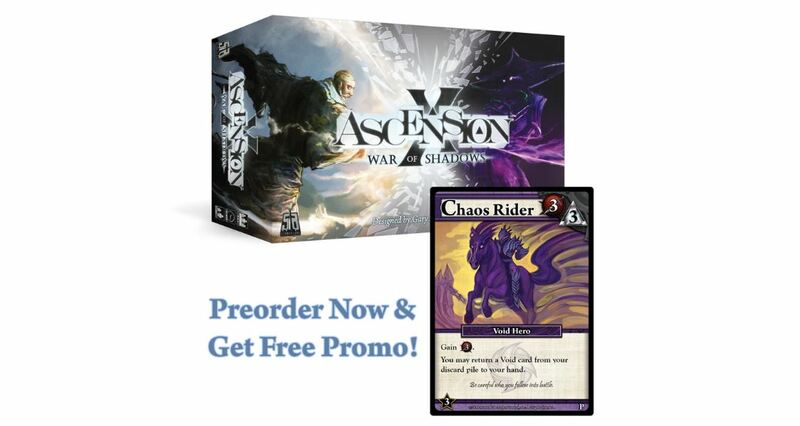 People who pre-order also get a special promo card (seen above). Stay tuned for a review of the set (they had a couple at Origins and a friend picked one up for me) later this week.